This sign is for Rislone Shaler Thermometer. The sign’s colors are yellow, red and black. 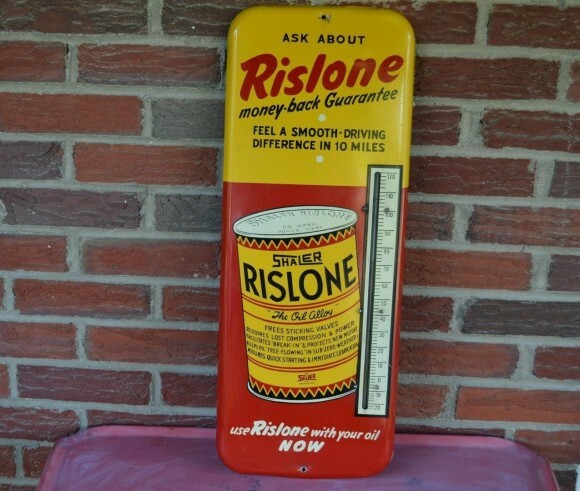 The text on the sign reads: Ask about Rislone money back guarantee feel a smooth driving difference in 10 miles use Rislone with your oil now. The sign shows a thermometer to the right and a can with text to the left.